Hi! I am a local small-town girl, living with my family in the same town we were born & raised in. My husband and I have known each other since we were 14 and have been happily married since 2011. Together we share 3 children, 4 dogs and 1 cat. I am an only child, coffee addict, loyal friend & cancer survivor! I have been a professional photographer since 2008, working mostly with newborns and families. I spent a few years shooting weddings all over the state of California and, while I love the beautiful moments captured during a special day like a wedding, I no longer photograph weddings or larger events. You can count on me for your child, family & senior graduate photography! I also love pet photography and working with professionals to develop beautiful headshots and marketing photos that work for their industry and marketing plan. When I'm not behind the lens I try to be in the saddle taking western reining lessons, outside with the kids and walking our dogs. Custom portrait photography is an investment in your family’s memories. Please contact Jessica with any booking and package questions. 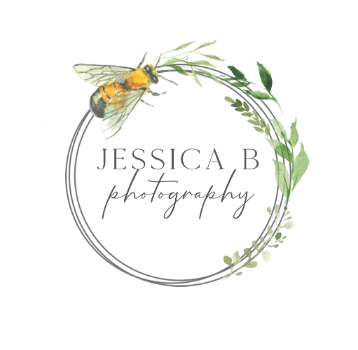 Newborn portraiture is where Jessica began specializing in baby and child photography in 2008. Often referred to as “The Baby Whisperer”, Jessica has a calm and peaceful nature with your newest addition. Sessions are done solely in Jessica’s home photo studio using natural light. Use of props is included and each session is unique to that baby and family. Sibling shots can be included but we ask that babysitting arrangements are made for big brother/sister after their photos are finished so we can focus on the baby. Newborn sessions can take up to 3 hours so please plan accordingly during baby’s first week home. Includes an edited online gallery with 30+ images and your session includes a download of your favorite 10 digital files and printing rights. Additional files & professional prints may be purchased separately. *newborn sessions are limited so book early! Children's sessions include a full-length 1-2 hour custom photography session at a location discussed and collaborated on during a pre-session consultation. This is a one-of-a-kind custom portrait session for your child/children. Unlimited outfit changes, includes use of photographer's props & time for all the children in your family to work at their pace and have time to play with Jessica. Family session includes a full-length 1-2 hour custom photography session at a location discussed and collaborated on during a pre-session consultation. This is a one-of-a-kind custom portrait session for your family. Family outfit changes may be limited in larger families. This session includes use of photographer's props & time for all the children in your family to work at their pace and have time to play with Jessica. Senior graduate sessions include a full-length 1-2 hour custom photography session at a location discussed and collaborated on during a pre-session consultation. This is a one-of-a-kind custom portrait session for your graduate. Unlimited outfit changes & locations. This session includes any relevant props (sports, cheer, etc) & time for making this session unique to your graduate's high school experience. Mini-portrait sessions are offered on a limited basis at the photographer's discretion. Sessions are brief (15-20 minutes), at a pre-determined location chosen by the photographer, include no outfit change time and only limited use of pre-determined props chosen by Jessica. Custom 1 hour session for professionals seeking headshots & marketing photos. Large enough for billboard sized photos, these sessions are customized to each professional's line of work, marketing plan and taste. Unlimited outfit changes and locations. Includes digital files. Pet Portraiture - Please contact me regarding including your animals in your family or child's session, or for individual pricing for animal portraiture.